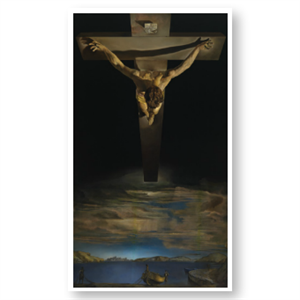 A beautiful postcard, depicting the Salvador Dali image of 'St John of the Cross'. The back has been left blank and includes the details of the painting which is the centrepiece of the Art Collection at Kelvingrove Art Gallery and Museum, Glasgow. The perfect gift or souvenir of your visit.